In the economy sedan segment, the Toyota Corolla and Honda Civic are at the top of their game. Both models offer affordable starting rates, superb value, and dependable crash scores and safety features. 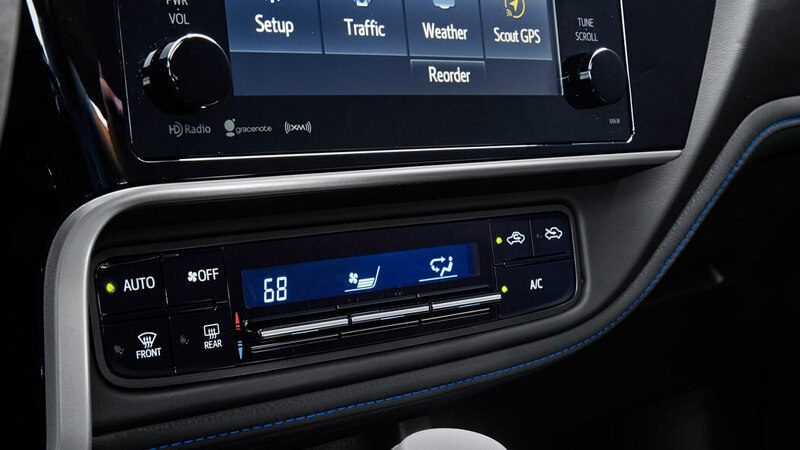 However, it’s the details that make one of these two sedans a smarter pick for drivers in Marina del Rey, Culver City, and neighboring areas. Check out our below comparison of the 2017 Honda Civic vs. the 2017 Toyota Corolla to see which comes out on top! 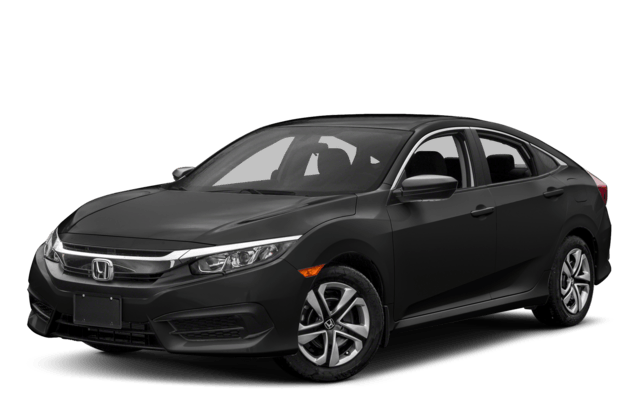 The 2017 Honda Civic Sedan starts at $18,740 MSRP, and includes a 3-year/36,000-mile basic warranty and a 5-year/60,000-mile powertrain warranty. 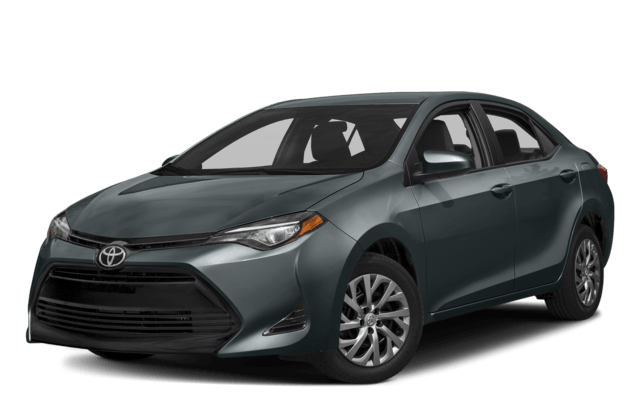 On the other hand, the 2017 Toyota Corolla Sedan starts at $18,500* MSRP, and offers identical basic and powertrain warranties. Comparably equipped, the 2017 Civic Sedan comes in at $19,615, while the 2017 Toyota Corolla costs $19,385. Either way, the 2017 Corolla lets you pocket around $200 in savings without sacrificing warranty coverage or missing out on many of the 2017 Civic Sedan’s features. Dynamic Radar Cruise Control: This system relies on radar and camera technologies to monitor the speed of the vehicle ahead, and accelerates or brakes accordingly to maintain your desired distance interval. Siri Eyes Free: If you own a compatible iPhone, you can use integrated Siri Eyes Free through Entune to message contacts and open Apple apps without taking your hands off the wheel. Safety is a pillar of both Toyota and Honda, but in the case of the 2017 Corolla vs. the 2017 Civic Sedan, the former steals the limelight. For one, the 2017 Corolla is a Top Safety Pick+ with “Good” ratings from the IIHS in crashworthiness. Although the 2017 Civic Sedan is a Top Safety Pick, its “Poor” headlights and lack of standard driver assists keeps it from obtaining the “+” mark. Secondly, the Corolla features standard Toyota Safety Sense P, which includes Pre-Collision System with Pedestrian Detection and more. The Honda equivalent—Honda Sensing—is optional for all but the range-topping Touring. Get the Most for Your Money! 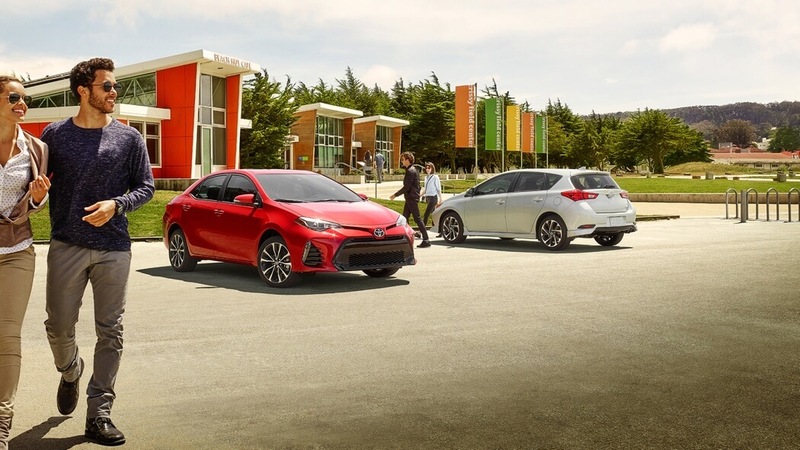 Despite its lower MSRP, the 2017 Toyota Corolla outshines the 2017 Honda Civic Sedan with a wider range of cutting-edge technology and safety features. To take the Corolla for a test drive, contact Marina del Rey Toyota near Santa Ana! Our sales team will help you find the right Corolla, while our finance experts work to get you the best rates and terms possible! *MSRP excludes the Delivery, Processing, and Handling Fee of $885 for Cars, $960 for Small/Medium Trucks, SUVs and Van (Sienna, CH-R, RAV4 Gas, RAV4 Hybrid, Highlander Gas, Highlander Hybrid, 4Runner and Tacoma), $1,195 for Large SUVs (Sequoia, Land Cruiser), and $1,195 for Large Truck (Tundra). (Historically, vehicle manufacturers and distributors have charged a separate fee for processing, handling and delivering vehicles to dealerships. Toyota’s charge for these services is called the “Delivery, Processing and Handling Fee” and is based on the value of the processing, handling and delivery services Toyota provides as well as Toyota’s overall pricing structure. Toyota may make a profit on the Delivery, Processing and Handling Fee.) Excludes taxes, license, title and available or regionally required equipment. The Delivery, Processing and Handling Fee in AL, AR, FL, GA, LA, MS, NC, OK, SC and TX will be higher. Actual dealer price will vary.